As a young child, one of the first juices that I came to love was the Jamaican Soursop juice. The fruit was mashed, strained and mixed with nutmeg or cinnamon, milk and rum. 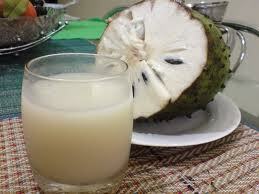 What orange juice was to other kids, soursop juice was to me; I loved it! We had a soursop tree growing in our backyard, and I could hardly wait until the Jamaican soursop and sweetsop season came around. Little Denise, then, surely did not know the health benefits that this fruit had; as I do know now. 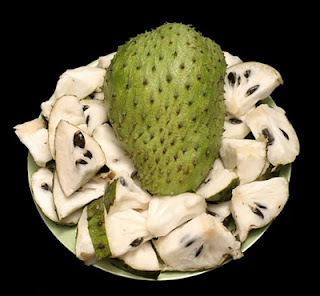 Jamaican Soursop has various health benefits that are not popularly known. It has calcium, protein, iron, fiber, phosphorus, thiamine, riboflavin, niacin, ash, carbohydrates, ascorbic acid, fat, amino acids, tryptophan, calcium, methiodine and lysine; vitamins A, b1, b2 and C and makes a delicious drink. 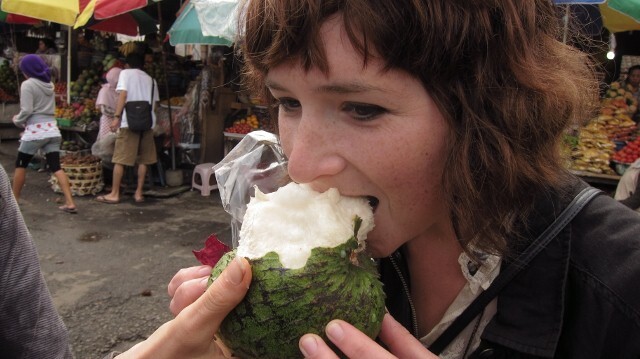 For persons concerned about their caloric intake, the Jamaican soursop is great because it has up to 40 calories. It is not only the soursop fruit that is usable but the soursop leaves are boiled for tea is often used by older and more knowledgeable folk. However, it is important to note that the seeds are not edible as they are toxic. The soursop seeds, of which there can be 50 to 100, of the Jamaican soursop is great to be used for controlling and, getting rid of certain pests; for example, head lice, army worms, black carpet beetle larvae, pea aphids and bed bugs. The Jamaican soursop seeds would first have to be mashed into powdered form and then sprinkled or applied. This tree is truly potent, as not only the soursop seeds can be used as fish poison, but the roots and bark as well. There are a number of illnesses that can be healed or aided in fast recovery times if the Jamaican soursop fruit is used. 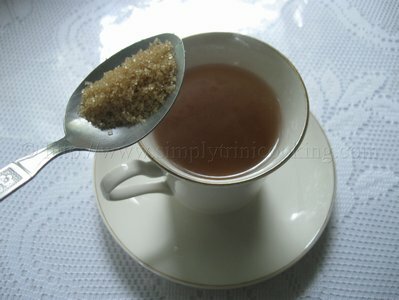 These include coughs, nerves, indigestion, cholesterol, fevers, hypertension, urethritis, flu, haematuria, rheumatism, diabetes, leprosy, scars, swollen feet, inflammation, insomnia, catarrh, liver ailments, eczema and it is used as a diuretic as well. As it relates to cancer, because the make up of the Jamaican soursop is toxic, it combats the effects of cancer cells. The antiviral and anticancerous nature of the plant is presently and consistently being studied. Africans regularly bathe their feverish children with this to combat the high temperatures. 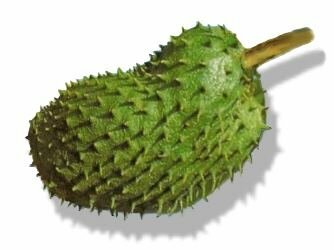 Did you also know that the leaves of the Jamaican soursop can be used to get a drunken man sober? It is one of the fastest ways out there. He would have to use the brew made from lime juice, soursop leaves and water. Hydrate him with more water and remember to rub his with the brew. If you are an insomniac, placing the soursop leaves in your pillow or bed will help you to get a more fitful sleep. Pregnant mothers who want to prevent difficulty with childbirth should also use Jamaican soursop and it is great to alleviate morning sickness and vomiting. Jamaican Soursop, is it a solution to improving Jamaica’s economic benefits through trade? I am from Jamaican and relish soursop from childhood to this very moment. There needs to be a correction in this sentence in your article: (because the makeup of the soursop if toxic). Wonderful information!